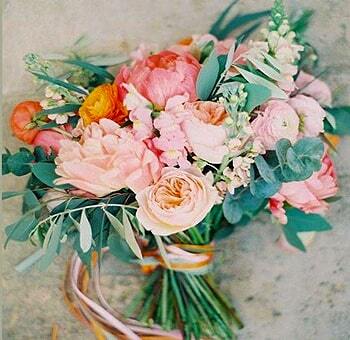 DIY Wedding Flowers is a wide array of pre-selected varieties to save you time. They represent flowers that require assembly by you and generally consist of various tones with a particular color theme in mind. They are ideal for individuals who enjoy putting arrangements together and are creative, having time to arrange their wedding decorations and are budget minded. To help you achieve your floral goals, we can obtain most flowers, greens and fillers for you, so give us a call to request specific types. As a wholesaler, our selections represent a small portion of what we import and distribute throughout the US and Canada. 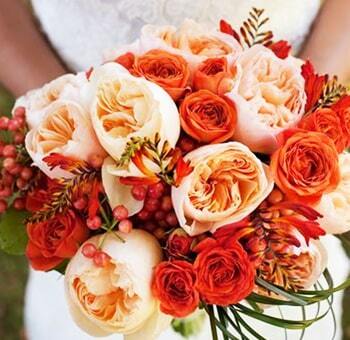 Nothing says elegance, grace, and warmth like freshly cut wholesale wedding flowers. When you require fresh cut flowers in virtually any quality at truly great prices, there is no place like Wholesale Blossoms. 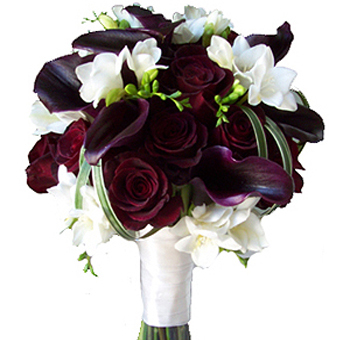 They are one of the proud leading online wholesale flower firms that serve retailers directly a huge selection of beautiful flowers in every color and shape. 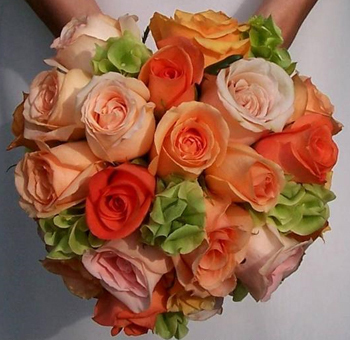 The company ships superior quality flowers directly to its customers from the growers or the farms. 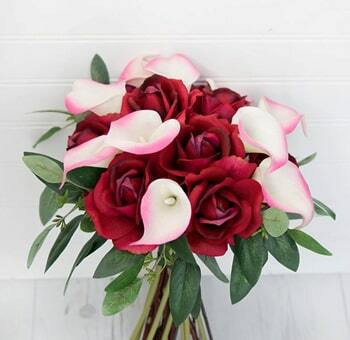 Whether you are looking for ordering bulk flowers for the wedding or looking for pre-made wedding bouquets or bulk flowers for weddings arrangements, you will find it all here that too at wholesale prices. 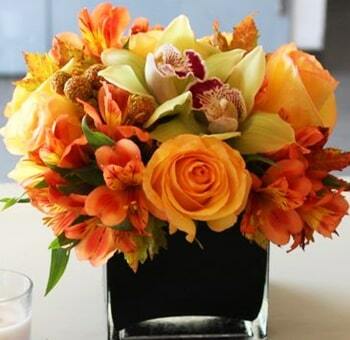 Just browse the floral catalog on their site to find exactly what you are looking for. Ordering from their site is extremely easy and secure, all you have to do is select the category you wish to order and book the flowers online. Your order will reach you fresh and fragrant just in time. 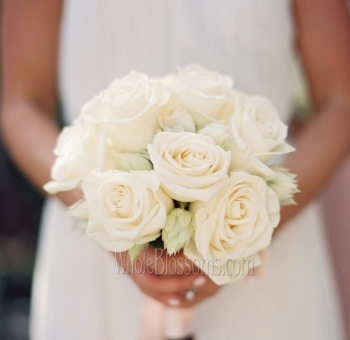 The website is best for ordering DIY wedding wholesale flowers. Weddings can be very expensive, and they really do not need to be. There is so much that you can DIY for your weddings and save yourself so much money. Flowers are one of the most expensive things about the wedding, and they are also one of the easiest things that you can DIY. Ordering wedding flowers from an online wholesale website can be a lot more inexpensive than purchasing flowers from a florist. For example, the flowers most in demand like roses can cost you a lot per stem whereas if you order in bulk from a wholesale web portal you can buy bunches of roses at affordable prices. So one should always buy bulk wedding flowers online. 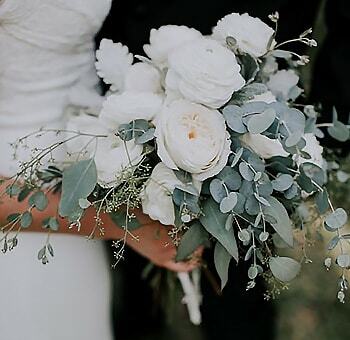 Choose really large dramatic flowers with greeneries to create your own DIY wedding flower arrangement with cheap wedding flowers on a budget. 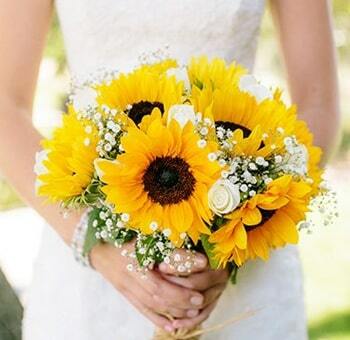 DIY flowers are a wide array of simple wedding flowers on a budget which is pre-selected for you to save your time. They are basically the flowers which need to be arranged in floral arrangements according to your preferences and choices, or according to the theme of the wedding. These are the best pick especially for the people who are a lot into DIYs and would like to use their creativity to create a magnificent piece for special occasions like weddings. They not only help you create designs and patterns of your own, but they are also a viable choice for someone who is looking for cheap wedding flowers on a budget. You can choose from amongst a variety of flowers, greeneries, and foliage to make a floral arrangement which you require for your wedding. 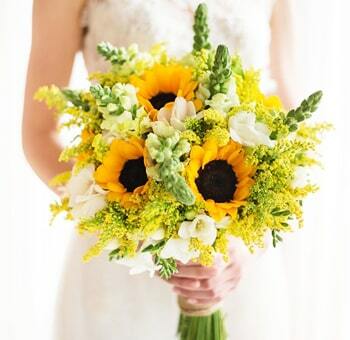 Ordering flowers online not only gives you a selection of fresh cut flowers but is also a perfect solution for affordable wedding flowers delivery. There are a lot of things which need to be kept in mind before ordering bulk wholesale flowers online.Once you have selected an online website like Wholesale Blossoms, your half the job is done. Having a reliable andtrusting vendor makes the whole process of selecting the flowers, to ordering and finally to delivery really easy. You need not worry about the quality, freshness and the timely delivery when you choose a trusted vendor. 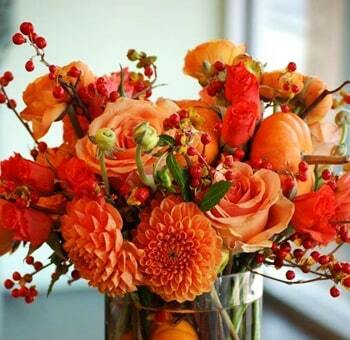 You get perfect flowers directly from the farms. 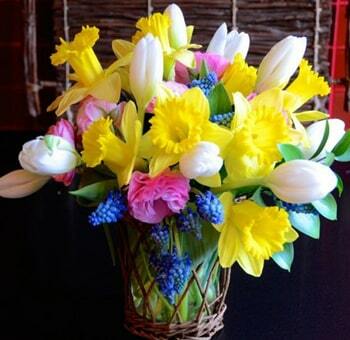 You also get freshly picked flowers with the lowest prices and highest quality. Online shopping is the quickest way for the customers to browse through the flowers as well as the most convenient way to purchase them. 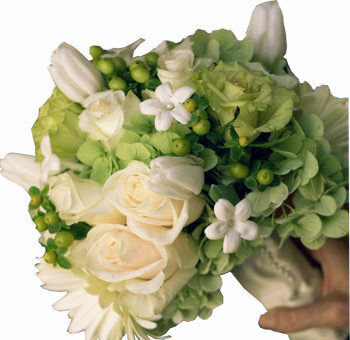 Just log on to the website and order the flowers you wish to be a part of your wedding arrangements. It's that simple! 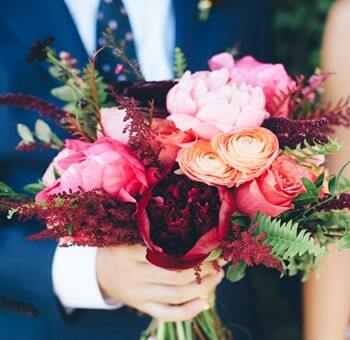 For wholesale flowers or DIY brides, planners need to go to Wholesale Blossoms. They have eye-catching premium quality flowers. 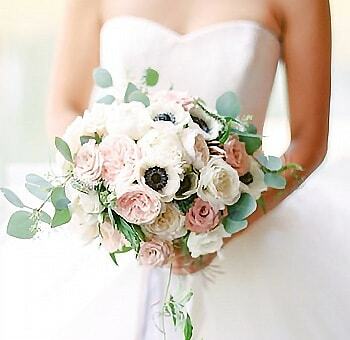 So, if you are considering ordering bulk wedding flowers online, this is the best place from where you should order. 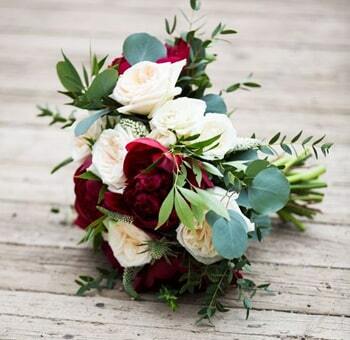 By ordering DIY wholesale flowers online, you can choose to create your own DIY wedding arrangements. There are few tips and tricks with which you can make your floral arrangements on an absolute bargain steal budget. 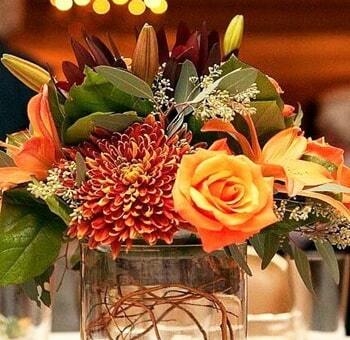 Before choosing the flowers for your DIY, floral arrangements do check out which flowers are in season around your wedding. 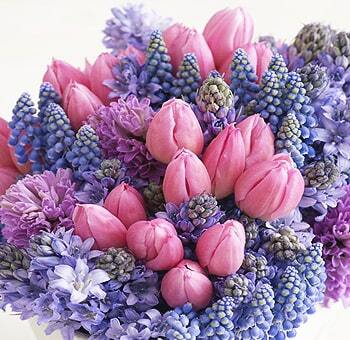 For example, if you are getting married in the springtime, you can choose to have tulips and daffodils as a part of your wedding arrangements, as they are available in bulk over that season and hence will cost you comparatively less than the other flowers, due to their excess availability. 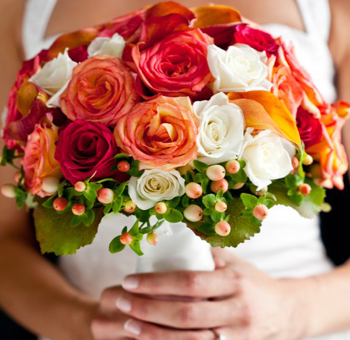 So, thinking about what the flowers according to your wedding season will help you be in the budget. 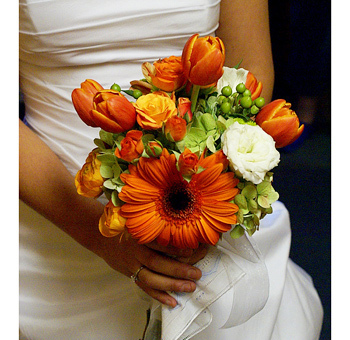 The next thing to think about is how do you plan to present your wedding flower arrangements. Vases and perceptible for your flowers can be quite expensive, instead of these, you can choose some simple DIY flower arrangements which look elegant as well are pocket-friendly. One wonderful DIY flower arrangement you can opt for is a DIY recycled water bottle centerpiece. You can just use any shape or size of glass bottle lying around your house, and all you have to do is spray paint them with gold and then put one stem of each flower you have chosen for your wedding along the color scheme and there you’ve got an amazing centerpiece just for the price of the spray paint. You can even add inexpensive wedding table flowers to the glass jars and create a pretty centerpiece with glitter shapes on the jars. Baby’s breath is the best friend of someone who is looking to do a flower arrangement on a budget because they are really big, full and cheap. 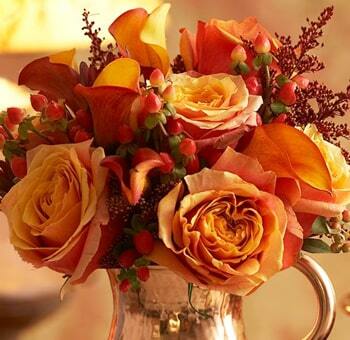 You can club them with pink roses or any other season flower of your choice. 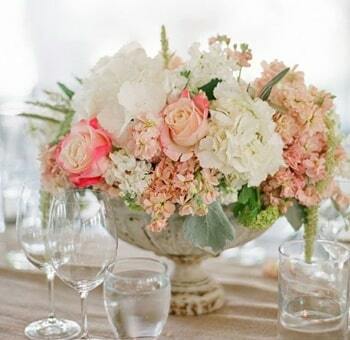 So, these were some of the inexpensive wedding table flower arrangements which you can imbibe at your wedding.